The Energy Information Administration noted that the approximate average household heating fuel costs for the 2013 winter slightly decreased from $947 to $928. This was the first drop in price since 2001. However, in the grand scheme the $19 savings is insignificant. There are several things to keep in mind to keep your utility bills low. Some of these concepts are simple and free while others are more complex and expensive. Upgrading your insulation will result in a more comfortable home year-round. It protects you from the heat of the sun during the summer and the cool temperatures during the winter. The better your insulation, the more guarded your home is against the elements. 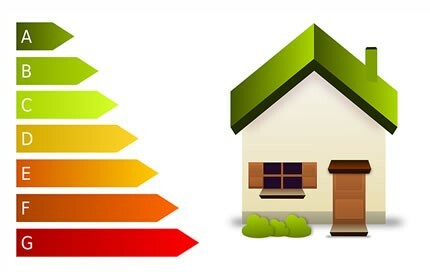 In addition to keeping your utility bills down, upgraded insulation will increase the resale value of the property. Depending on the system, homes that utilize poorly connected, not well insulated ductwork to push air around the house can lose up to 60% of the air prior to reaching the vents. The air often travels through unheated spaces like the attic. If the ductwork travels through the attic, there are number of easy fixes that can be implemented. First, search for locations along the ductwork that have been disconnected and reconnect them. Also, fix places where pipers are pinched and impede the flow of air around the house. Use metal-backed tape or an aerosol sealant to fix gaps. If there are electrical wires near the ducts, it is always advised to seek professional help. Even if you have old doors in your home, as long as they are in good condition, you can install storm doors at all entrances. Storm doors helps save energy by reducing the air filtration that naturally occurs as the main entrance door is opened. They also decrease the total amount of heat that is transferred through the primary door when it is shut. By contacting a company specializing in window installation to replace your old windows with ENERGY STAR qualified windows, the energy bill usage will decrease between 7 and 15% while shrinking a home’s carbon footprint. Many older homes have single-pane windows that can be replaced by more modern double or triple-pane windows that lock the internal air from the external. Although placing plastic on the windows is a solid temporary solution, with many of these old windows, the wind may blow directly through the plastic. Replacing the windows is the best long-term solution currently available to help lower energy consumption. Lowering utility bills by implementing simple fixes, continued maintenance and new installation can significantly lower your monthly energy bills. Many of the fixes can be completed by homeowners for a low cost. However, new installations should be conducted by a professional company that specializes in this type of work. Luckily, there many experts in your area that can assist and help you to significantly drive down your energy costs. Savannah Coulsen is a freelance writer. She lives in Raleigh. Savannah loves to read and write and she hopes to write a novel someday. Savannah also loves learning and is a self-proclaimed health guru. Savannah got information for this post from Mid America Exteriors, a company that specializes in window installation in Wichita.